I love cute stationary too and have been collecting it since I was 5 or 6! I have a HUGE Hello Kitty pencil collection. i'm still trying to gift away my hello kitty stationary ;D dude. when my cousins started grade school, they "sat me down" and told me that it was okay if i never gave them hello kitty notebooks, pens, or stickers again. i was crushed. 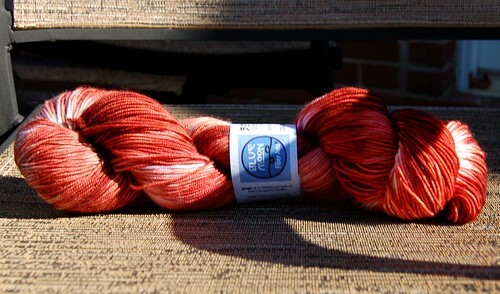 That yarn does look so cute in skeins. Sadness.